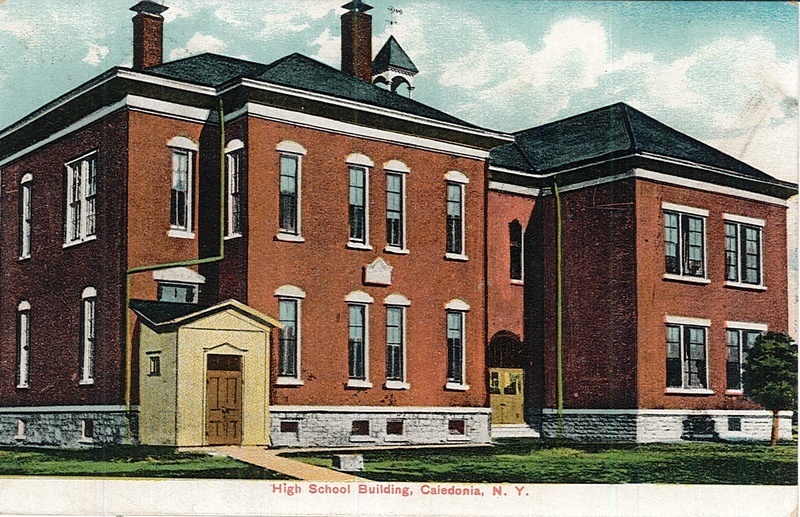 Postmarked 1910, the former Caledonia School had been integrated into New York's Union Free School district since 1895, and designated as the town's high school since 1898. 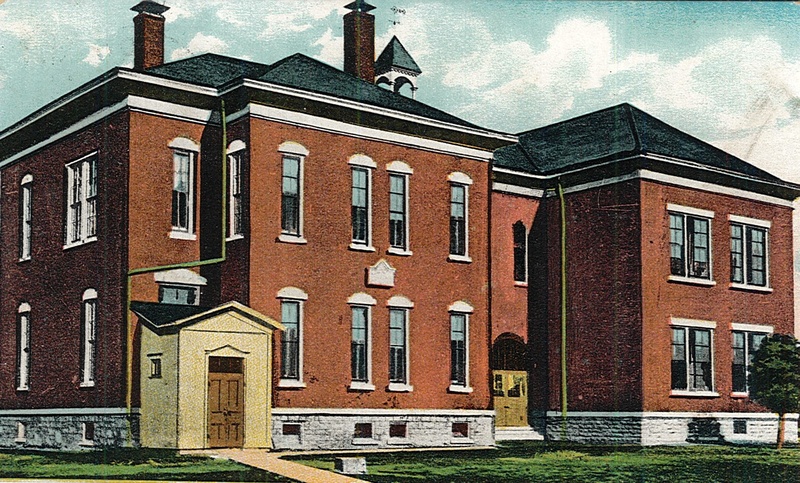 In 1914, the older structure would be rebuilt in brick and serve its function until 1939, when Caledonia-Mumford High School on North Road took over. Today, the building is home to the Big Springs Historical Society Museum. “School No. 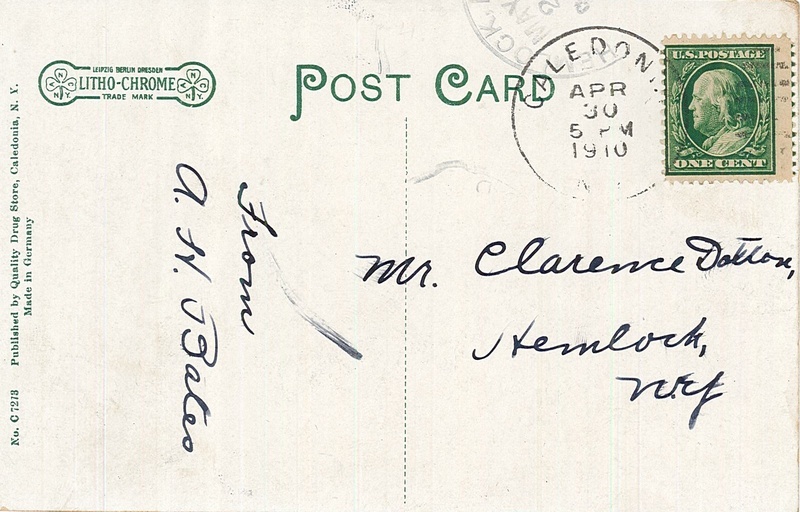 5, Caledonia NY,” OpenValley, accessed April 24, 2019, https://openvalley.org/items/show/917.